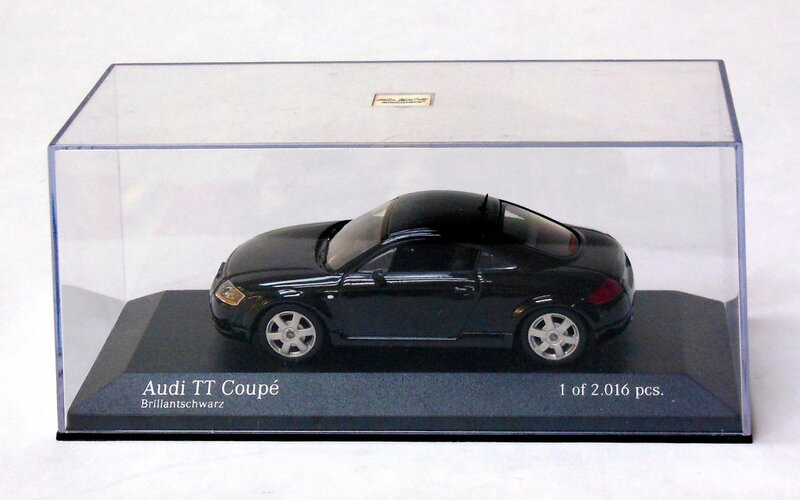 Diecast model of the Audi TT 2-door sports coupe in 1:43 scale made in 1999 by Paul's Model Art Minichamps, the German company renowned for its top-quality diecast cars. Faithfully captures the TT's elegant lines and reproduces such iconic details as the hex-head screws on the gas cap, twin exhaust pipes of the 225 hp version, 4 ring logo on the steering wheel, even the little side marker lights. 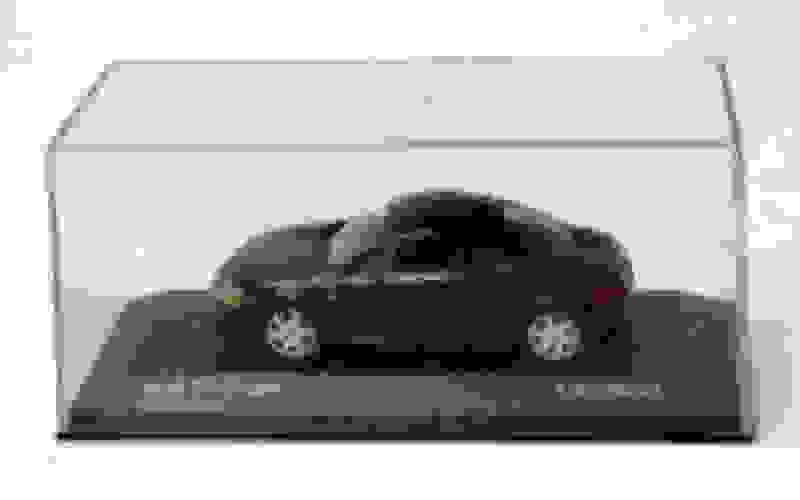 Exterior finish is "Brilliantschwarz," or brilliant black. 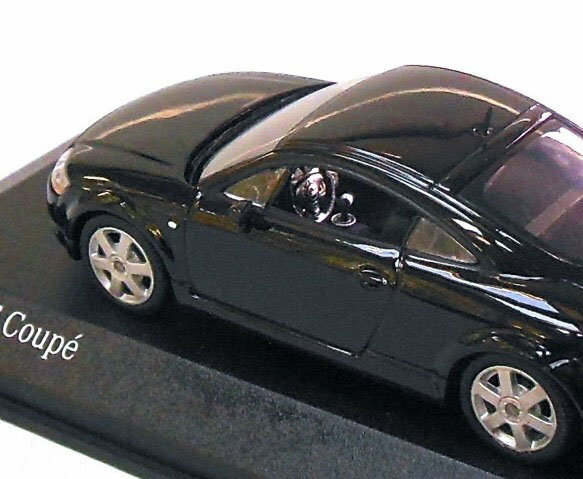 The model is protected in its own plastic showcase with a clear cover and black base with a screw through the bottom to secure the car. Excellent condition. Some spotting on cover. Contact for more pix and details. $75 plus USPS Priority Mail shipping. Anyone know where I can find B6 Minichamps diecast model (prefer 1:18 scale)? 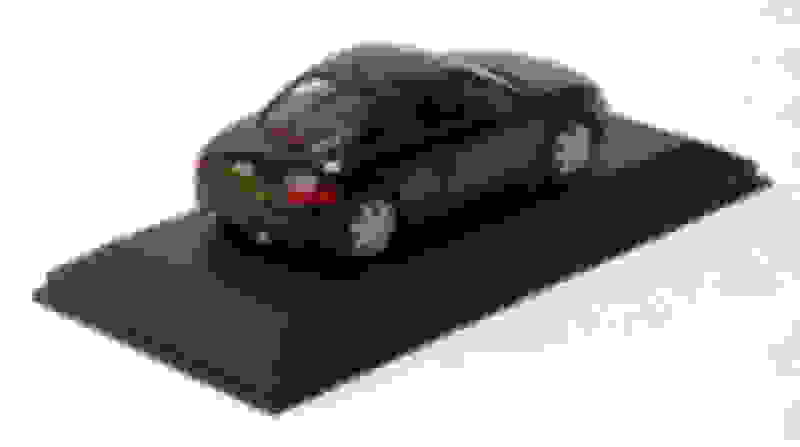 Is there a big market in diecast car models such as Minichamps or AutoArt?